David Conrad shared some neat pictures he took in the 60s and 70s. Interesting and sometimes abandoned Custom Cars he came across while on the road. In July 2018 I shared a photo of an early 1940’s restyled 1940 Mercury ones owned by the mr. Williams and later owned by Marsh Baldwin. 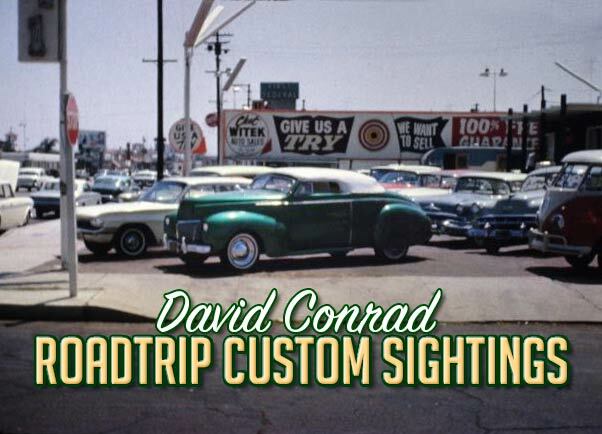 I was wondering what had happened to the restoration on the care when David Conrad shared a few photos of some old 60’s and 70’s road trips with including one of an Mercury that looked a bit similar. 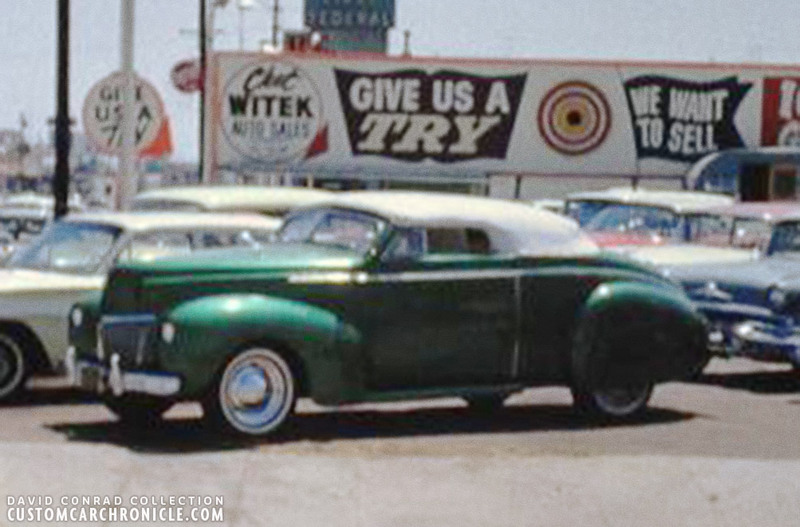 The picture David shared, of a greene padded topped Mercury at a car lot in San Diego in 1963, had a very similar very heavy chop, but it looked to be a ’39 and not the ’40 I was looking for. But the photo was very interesting, and the ’39 Mercury looked vaguely familiar, reminding me a bit at the James Etter ’39 Mercury restored in the late 1970’s, early 1980’s by Karl Jonasson. But I did not pay much attention to that at the time. 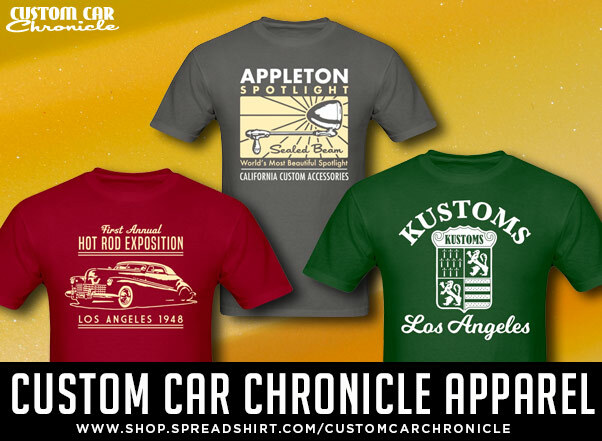 When David shared the photos he mentioned that he took some photos back in 1963 when he and a friend towed David’s 31 Model A pickup to San Diego to the Model A Restorers Club national meet. On the way they stopped at several locations and David took some photos of interesting cars he saw on their way. 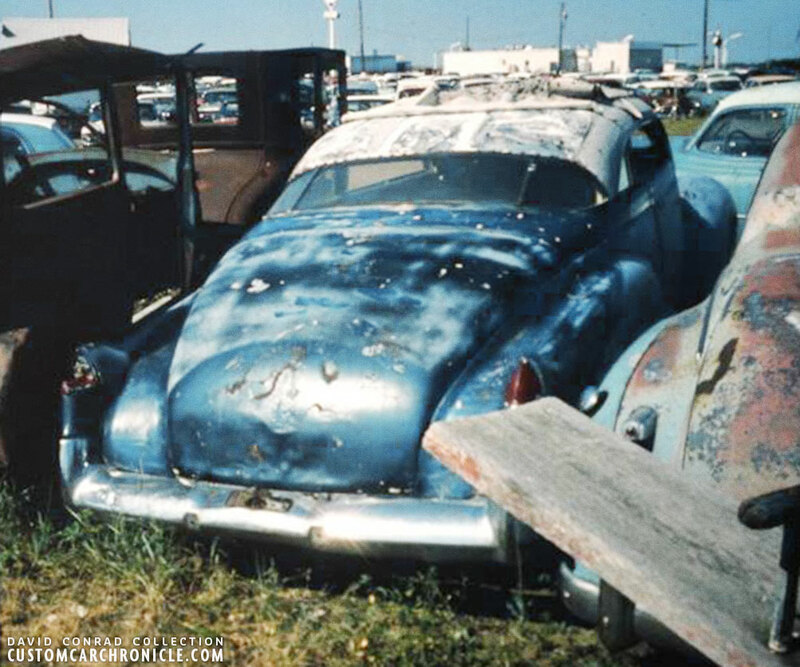 David saw this 1940 Mercury with some Ayala Inspiration at the Easy Jack’s junk yard in Kansas in 1963. He always wondered what happened to it. Anybody knows? 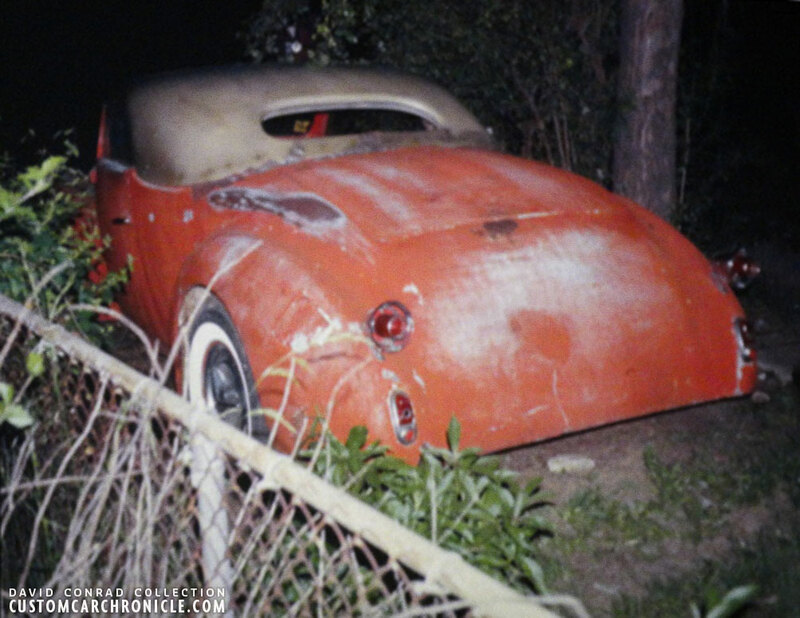 The rear shows an interesting Panoramic rear window treatment on the chopped canvas covered top, as well as ’48-49 Cadillac rear fenders molded into the body. 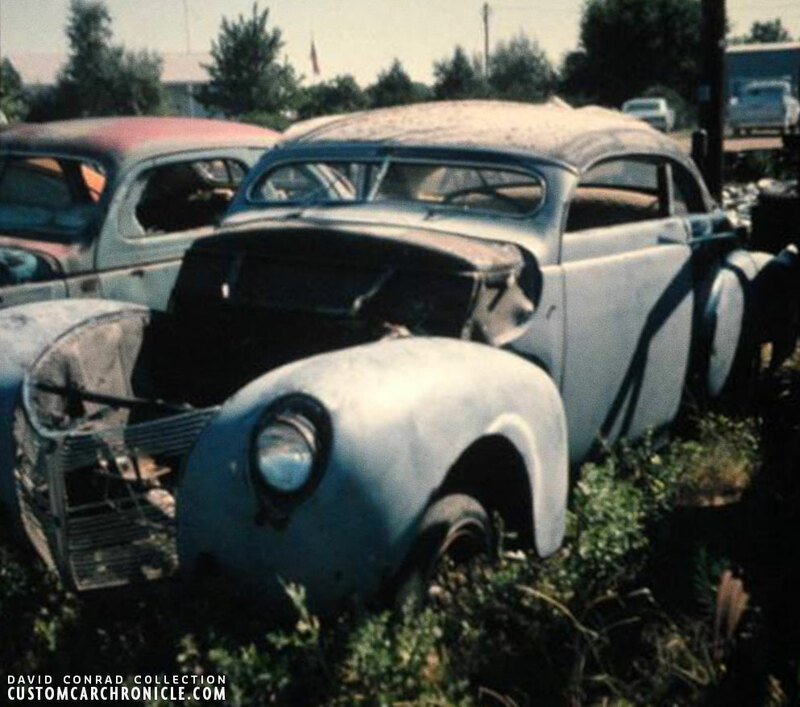 I wonder if the car was ever finished and on the road, or if it was an abandoned project? 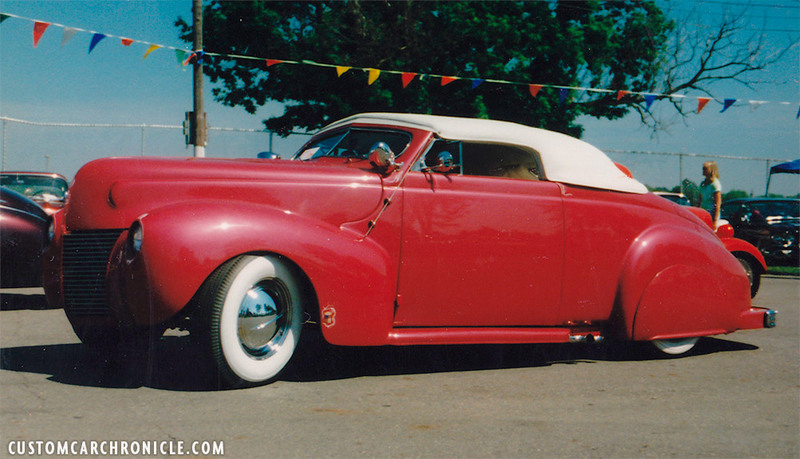 David took this ’40 Ford convertible in the early 70s in a friends back yard. He has no idea what ever happened to it. This is in St Louis, mo. It appears to be an channeled ’40 Ford convertible with a much molded body that was done in the late 1950’s, early 1960’s. Perhaps it evolved over the years. 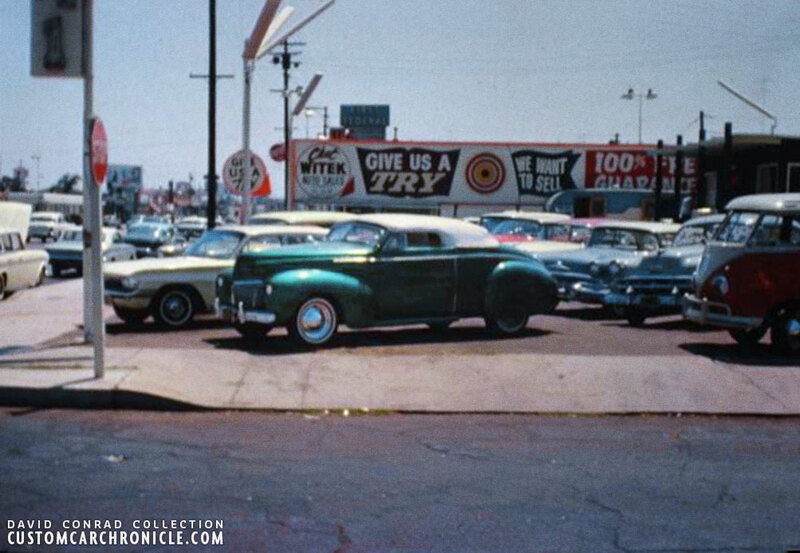 David took this very neat picture of a green metalflake ’39 Mercury at an unknown used car lot in San Diego in 1963. The original scan from the color slide David shared is not very big, therefor the details are rather blurry. This is the best I could do blowing up the image to have a better look at the car. It does appear to have the hood side scoop… but because the scan is so blurry, that could be just shadow and an optical illusion. 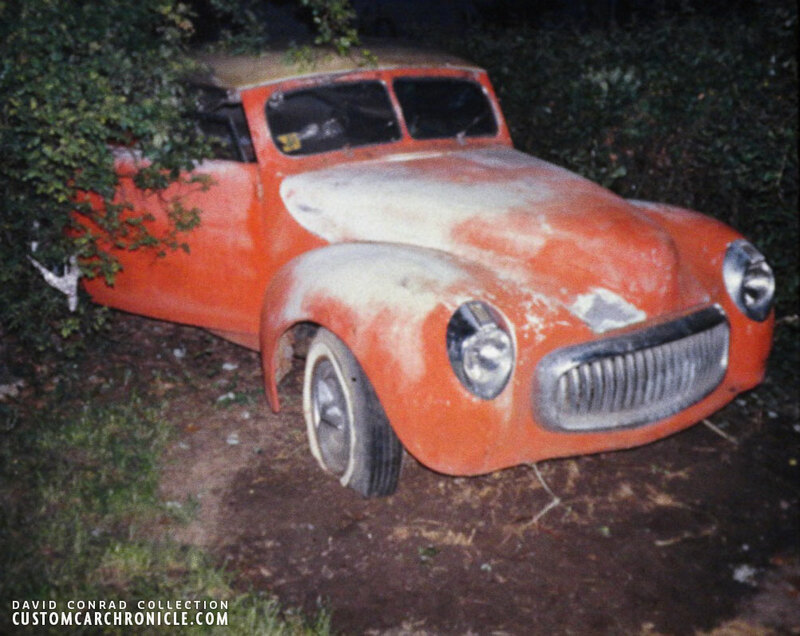 This is how the car looked that Karl got to restore in the late 1970’s. Notice all the similarities with the Green one David photographed. 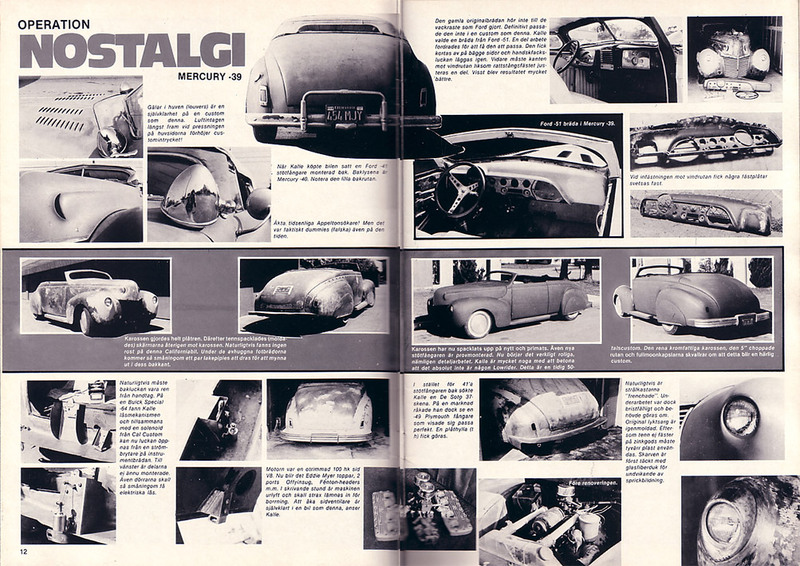 Part if the Wheels Magazine article showing some more details, including the ’41 Ford rear bumper. 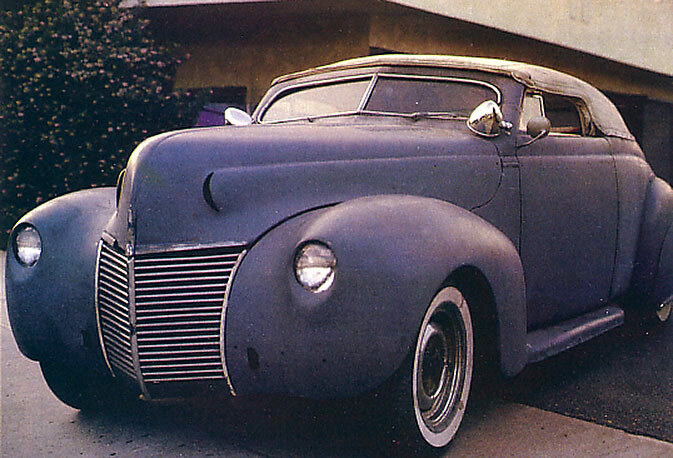 This is how most people will recognize the James Etter 1939 Mercury from the 1980’s. The heavy chop, the shortened running boards, and molded in headlights. Karl added the exhausts behind the running boards and the ’49 Plymouth bumper. The Barris Crest on the front fender is an replica added after Karl restored the car.